Beverly Adams, a graduate of the Virginia School of Massage, is a licensed massage therapist and owner of Blue Ridge Therapeutic Massage located in Lynchburg, VA. For the past twenty years, she has worked with clients who use massage for stress management and relaxation, and for management of chronic conditions due to disease, injury, and/or trauma. Beverly first studied first with the St. John School of Neuromuscular Therapy, and then with Judith Walker-Delany’s School of Neuromuscular Therapy American Version ™. Her focus at now is working with facscia. She has been studying with Til Luchau and his Advanced Myofacial Techniques for the past four years.. Sessions focus on areas of trauma over a six week period with the goal of offering long term relief. ​For those requiring gentler work she is is also working withT ouch for Health Kinesology. She is also certified in Reflexology, has over 150 hours in Polarity Therapy training, craniosacral work, is certified in Ace Medicupping TM , and has completed training for medical massage therapy. 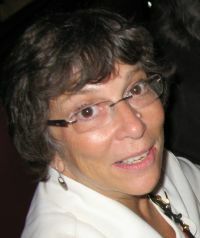 For four years, Beverly taught massage therapy, specializing in anatomy, kinesiology, and therapeutic techniques at several of the local massage schools. She taught canine bodywork for Equinology, Inc for twelve years. If you have any questions regarding her educational background and approach to massage therapy, simply give her a call or send her an email. She looks forward to hearing from you.